Stay dry and comfortable with the Adidas Sport Mesh polo. 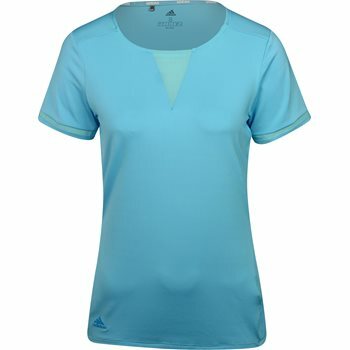 It is designed with mesh insets on the sleeves and collar and offers moisture-wicking to keep you cool and dry when sweating occurs. The lightweight stretch fabric offers unrestricted movement on your backswing and UV protection will keep you safe from harmful sunrays. The polyester construction provides durability for machine washing and resistance against wrinkles so you can spend less time ironing and more time on the golf course.